Listening to the sounds of a thunderstorm, observing seeds sprout, or trying to count the twinkling stars in the night sky, are doors to discovery and exploration for young children. Through the wonder of five senses, children eagerly open their minds to learning about science in the wonderful world around them! Nancy I. Sanders and I are THRILLED at the popularity of this book. It’s hit a second print run! 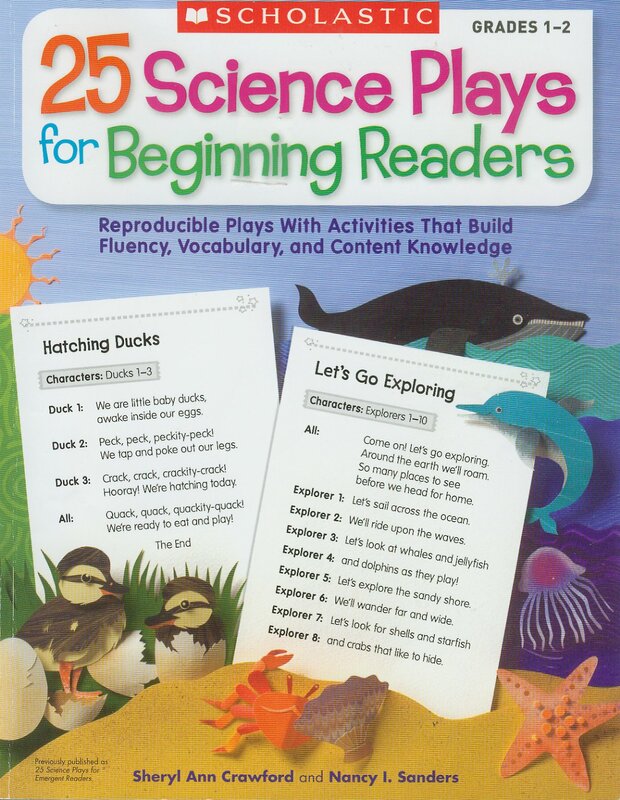 This delightful book from Scholastic Teaching Resources, teaches key science concepts and builds reading fluency with FUN, information filled, easy-t0-read plays on animals, habitats, life cycles, health and the human body, plants and seeds, weather and more. Curriculum activities include fun crafts and activities that help reinforce key concepts and teach vocabulary. The reproductible plays require no props, include rhyme, repetition, and predictable language to help young learners build reading confidence!